People normally cannot differentiate a discussion from an argument because they don't know what are the difference. As long as there appears to be a conflict, they consider any talk as an argument. It seems to usually found in Asian culture. What are the differences between an Argument and a Discussion? 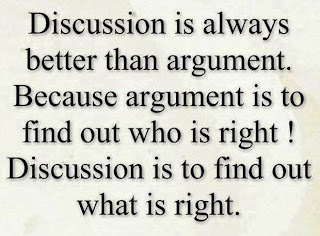 An argument throws heat; a discussion throws light. One stems from ego and a closed mind whereas the other comes from an open mind. 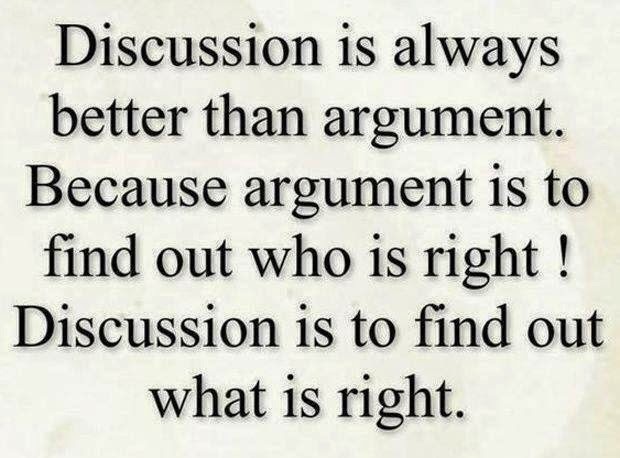 An argument is an exchange of ignorance whereas a discussion is an exchange of knowledge. An argument is an expression of temper whereas a discussion is a lesson of logic.